Further to our report on 22nd June 2018 about the sacking of an expert witness, architect Paul Hyett has now been appointed as an expert witness to the Grenfell Inquiry. 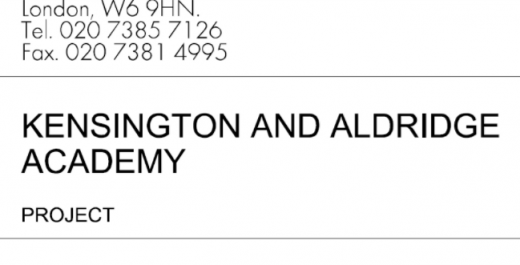 The former RIBA president replaces John Priestley who was sacked in June after two days, when it emerged he was not registered with the Arb. Paul Hyett, PPRIBA, Hon. FAIA, is a Principal in the London office of US practice HKS Architects as its UK sports director. He had an unorthodox route into architecture: after a time in the merchant navy and aviation insurance, he trained at the Architectural Association in London. He then worked for architect Cedric Price and then Alan Baxter, before setting up his own architecture practice. He is a specialist in construction litigation and forensic investigation. A speculative proposal for the Grenfell Tower memorial has been released by architects studio JAA, London. 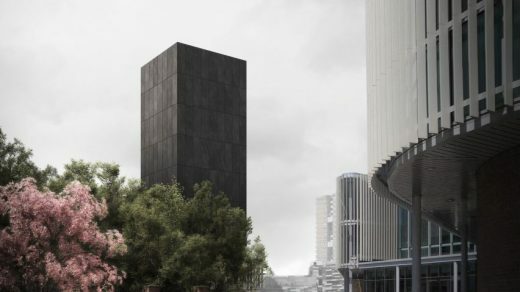 Titled ‘Grenfell Tower: In Memoriam’ the proposal calls for a preservation of the tower, but with the addition of black concrete cladding on the exterior, transforming it into a memorial with an opaque facade. 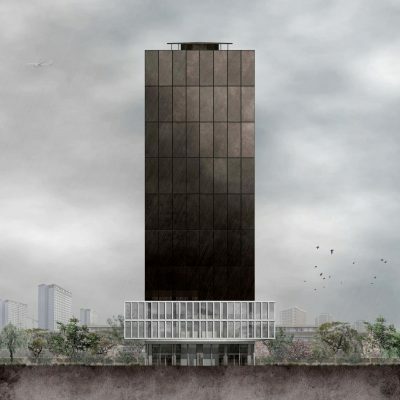 The damaged structure would be sealed within a ‘sarcophagus’ made from 224 black concrete panels. A beacon would light up at night in flat 16 – the origin of the fire. 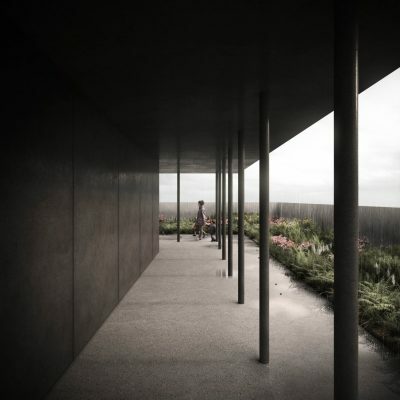 A terrace would be added to the roof with a small wildflower garden. 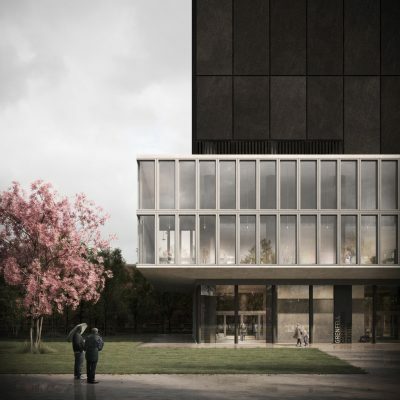 The proposal calls for all other floors to remain unused, with the exception of the lowest four, which would be repurposed and renovated for community uses, including sporting facilities and a gallery dedicated to the fire’s victims and those affected. 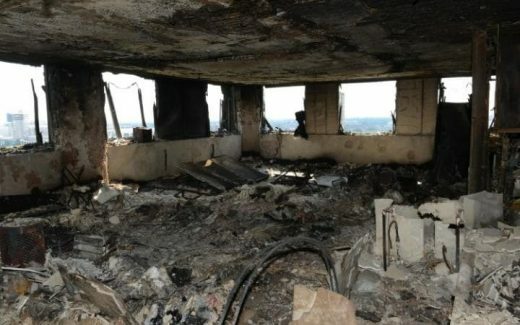 The Architects Registration Board (ARB) is investigating a complaint that an expert witness appointed to the Grenfell Inquiry this week described himself as an architect despite not being on the register for 10 years, report Building Design magazine today. John Priestley of John Priestley Associates called himself on his website “a UK registered and Chartered Architect with over 30 years experience in the design and construction of a wide range of Commercial, Industrial and Residential projects”. The website was taken down this morning. Grenfell Inquiry also ‘making urgent inquiries’. Studio E Architects is among a number of firms accused of attempting to derail the Grenfell Tower Inquiry with a wall of ‘corporate silence’ after it failed to provide an opening statement to the hearing, reports the Architects’ Journal. 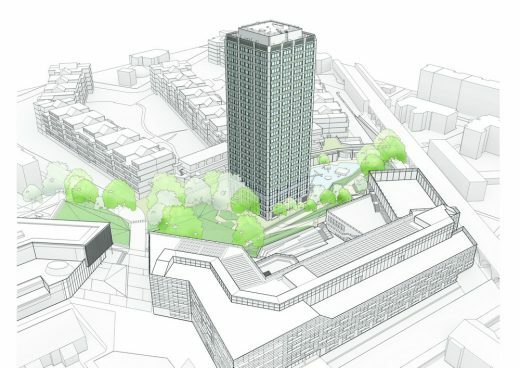 Many of the 19 ‘core participant’ firms involved in the £10m refit of the tower on the Lancaster West estate have refused to comment on their work until they have full disclosure of documents, the inquiry heard yesterday. They face a barrage of criticism from lawyers representing survivors and the bereaved, for failing to set out their position, especially on the key question of compliance. e-architect approached Studio E Architects for comment shortly after the fire but never received a reply. Association for Project Safety (APS) fully supports the interim report of Dame Judith Hackitt’s Review of the Building Regulations and welcomes the next phase. A review of building regulations ordered after the Grenfell Tower fire has found the system is “not fit for purpose” and open to abuse by those trying to save money, reports The Guardian today. Dame Judith Hackitt’s interim report into building safety called for an overhaul of the construction industry to put safety above cutting costs. In a foreword, Hackitt said she was shocked by some of the practices she had uncovered. “The mindset of doing things as cheaply as possible and passing on responsibility for problems and shortcomings of others must stop,” she wrote. Her report highlights concerns about increased privatisation of the building inspection regime leading to safety being compromised and a reduction in expertise within local authorities. The Royal Institute of British Architects (RIBA) has welcomed the publication of Dame Judith Hackitt’s Interim Report but has highlighted the need to go much further, specifically in terms of making real and meaningful change to the core building regulations guidance covering fire safety, which is needed as a matter of great urgency. It is also good to see a recognition by Dame Judith of the importance of the ‘golden thread’ of original design intent, the integrity of which must be maintained in any building project or subsequent refurbishment – in order to avoid fragmentation of design responsibility with risks poorer quality outcomes. However, it is disappointing that whilst the report recognises the complexity and lack of clarity in the current building regulations guidance, it shies away from introducing immediate and effective changes to the current fire safety guidance, Approved Document B.
SPID Theatre Company, an award winning youth charity based in Ladbroke Grove, is looking at West London’s skyline afresh following the Grenfell Tower fire. The result is Kensington Stories, a new documentary film made as part of SPID’s Living History project. SPID Theatre Company has achieved National Press on multiple occasions for their work, specialising in engaging hard-to-reach audiences with heritage, the arts and with each other. The project will build on their previous Living History Projects: Kensal Voices, Kensal Voices Reloaded, In Transit, Trellick Tales and Reimagining Goldfinger. The film focuses on community, the management of buildings and the event of the Grenfell Tower fire that happened earlier this year. From recording oral history interviews, led by Rib Davis, SPID has worked with filmmaker Susanna Fasciolo and producer Ioana Constantinescu to create a fifteen minute film about four local buildings: Kensal House, Trellick Tower, Stanley Gardens and Lancaster West, where Grenfell Tower is situated. Each of these buildings is listed and protected, except Lancaster West. Despite not being listed, Grenfell is extremely significant to the work that SPID is creating, work that champions local voices and shared histories. SPID itself is based in one of West London’s very own listed buildings, adding relevance to this year’s project. The oral history testimonies given by residents who live within each of these estates compose the soundtrack for the film; their own stories and opinions colouring the background to this documentary. The entire project has been influenced by local young people aged 13-25, who participate in weekly workshops researching the history and architecture of the borough. This project is a combination of historical and architectural knowledge, enriched by personal stories about an area of London with extremely diverse buildings. The Kensington Stories film will premiere on 9th December at 3pm at Kensal House, followed by a Q and A with the young people and makers of the film, and accompanied by food from the Goldfinger Factory, a café near Trellick Tower. The UK Director of Public Prosecutions (DPP) has not ruled out possible criminal charges carrying lengthy prison sentences against individuals over the Grenfell Tower fire, report The Guardian. In her first public comments since the disaster, Alison Saunders said investigations were at a very early stage. All options remained open, but it could take months before charging decisions can be made, she said. Gross negligence manslaughter is among offences prosecutors could consider if police find sufficient evidence. The offence carries a maximum sentence of life in prison for those found to have high levels of culpability. Alison Saunders, in an interview with the London Evening Standard, said: “All of us want to see justice done … It is one of those tragedies where everybody will want to do as much as they possibly can in order to help both those who continue to be residents and those who died in the fire. The DPP’s comments follow the publication of a Scotland Yard letter which said there were reasonable grounds to suspect that corporate manslaughter offences had been committed by Kensington and Chelsea council, and the Kensington and Chelsea Tenant Management Organisation, the latter of which ran Grenfell tower. Police investigating the Grenfell Tower fire say they have “reasonable grounds” to suspect that corporate manslaughter offences may have been committed, report the BBC. It means senior executives from the council and the tenant management organisation that ran the block are likely to be interviewed under caution. A letter from the Met Police to residents said officers had “seized a huge amount of material”. Organisations guilty of the offence of corporate manslaughter are liable to an “unlimited fine”. Individuals cannot be charged with corporate manslaughter, an offence which is intended to work “in conjunction” with other forms of accountability. The Royal Borough of Kensington and Chelsea and the Kensington and Chelsea Tenancy Management Organisation have been notified that there are reasonable grounds to suspect that each organisation may have committed the offence of corporate manslaughter. However Labour MP for Tottenham, David Lammy, said the punishment for corporate manslaughter, a fine, would not represent justice: “Gross negligence manslaughter carries a punishment of prison time, and I hope that the police and the CPS are considering charges of manslaughter caused by gross negligence”. More positively the Justice 4 Grenfell campaign group, said the development would help increase levels of trust between the police and the community. Investigators say 350 people lived in the west London block but 14 were not there when the building went up in flames, report The Independent. Police said they do not expect the death toll to rise much further. Detectives also revealed the tower was made up of predominantly one and two bedroom flats, which would account for the lower than expected occupancy. Previous estimates put between 400 and 600 people living inside the tower. The Grenfell Tower fire inquiry hopes to hold its first public hearings into the cause of the disaster in September as it prepares to seize council planning archives, report The Guardian. Sir Martin Moore-Bick, the chairman, is expected to hold further meetings with bereaved relatives, local residents, survivors and interested organisations next week in order to agree terms of reference. Until those terms are approved by the prime minister, Theresa May, and lodged with parliament, investigators cannot begin taking evidence. Grenfell Tower planning application PP/12/04097 was determined by delegated powers. Samples of the ACM panels were requested and should be in the council’s stores. Apparently the responses to the Conditions note the panel outer surface but crucially do not identify the core material. The link to ‘DURAGLOSS® 5000 Technical Data’ goes to a ‘Content Not Found’ page. Then there was a Non-Material Amendment made to approval PP/12/04097 after CON/14/04024. 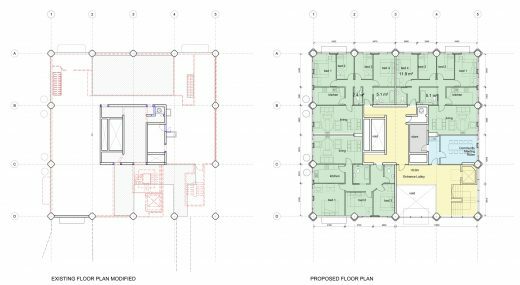 On 2 January 2015 proposed changes to the design by Studio E and planning consultants IBI Group were accepted by RBKC planners as NMA/14/08597. The design changes appear very material in that they re-position the windows, out from the existing concrete into the (rainscreen) cladding zone. Ian notes that the planned separation of the window from the concrete meant that interfaces – “window, head and cill extrusions, foams, perimeter filler insulation, water, air and vapour barrier, and lining boards” – became technically critical for fire safety. The several materials and products within the interface gap became the only construction stopping a fire inside a flat from reaching the cavity and cladding. In other words, the late change to the window position, moving it out from the solid concrete structure, meant it was weak due to the ‘filled gaps’ around the sides where fire could break through. He cautions that it is badly worded. The “not including” list is open to abuse as products and materials “similar” to gaskets and sealants may be combustible – such as membranes, tapes, sealants and adhesives – combining to form a dangerous level of fire load. The new chairman of the Grenfell Tower inquiry said he is doubtful the process would be as wide-ranging as some residents hope after meeting survivors, many of whom were sceptical about his appointment. Sir Martin Moore-Bick said his inquiry would look at “basic factual questions” about what caused the fire rather than broader problems. “I’ve been asked to undertake this inquiry on the basis that it would be pretty well limited to the problems surrounding the start of the fire and its rapid development, in order to make recommendations as to how this sort of thing can be prevented in the future,” he said. 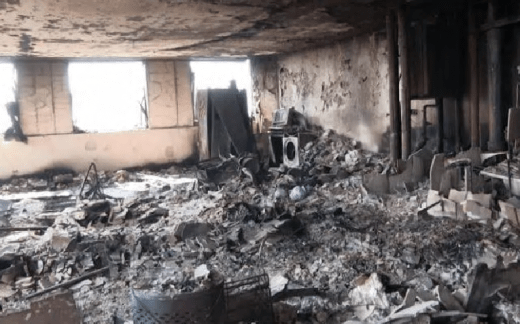 23 Jun 2017 – Grenfell Tower fire: police considering manslaughter charges. Detectives say building’s insulation and cladding tiles failed fire safety tests and they are establishing if use was illegal, report The Guardian. Officers had established the initial cause of the fire was a Hotpoint FF175BP fridge-freezer and that it was not started deliberately. The Police are reviewing every company involved in the building and refurbishment of Grenfell Tower, and have seized documents and materials from a number of organisations. UK Prime Minister Theresa May said the government would fund tests on up to 100 towers a day. the DCLG estimates that about 600 high-rises across the UK have been clad. 23 Jun 2017 – Were the horizontal and vertical fire-stops installed correctly at Grenfell Tower? 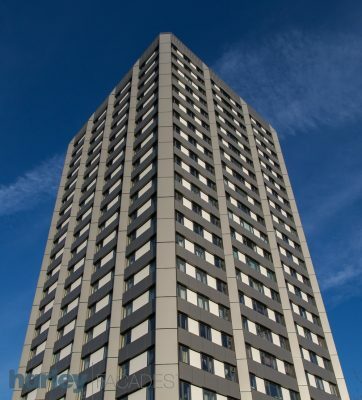 A photo on Studio E’s website shows one facade of Grenfell Tower. Architects for Social Housing using Eventbrite to ticket The Truth about Grenfell Tower on Thursday 22nd June in Stockwell. Please join Architects for Social Housing and share what we collectively know so far about the technical and political decisions that led to the Grenfell Tower fire; reassure residents about the safety of post-war tower blocks against the fear being spread by the media; and discuss how to can counteract this disaster being used by politicians to promote the demolition of London’s council estates for profit. Everybody welcome, residents, architects, engineers, fire-safety specialists, planners, housing campaigners. Please share widely and invite your friends. 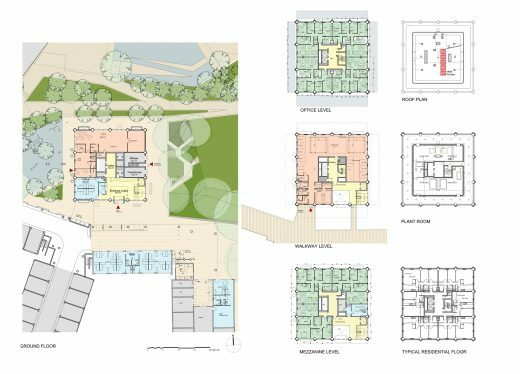 Architects for Social Housing (ASH) was set up in March 2015 in order to respond architecturally to London’s housing ‘crisis’. ASH are a working collective of architects, urban designers, engineers, surveyors, planners, film-makers, photographers, web designers, artists, writers and housing campaigners operating with developing ideas under set principles. 19 Jun – death toll rises to 79. Of the 18 people in hospital 9 are in critical care, report the BBC. 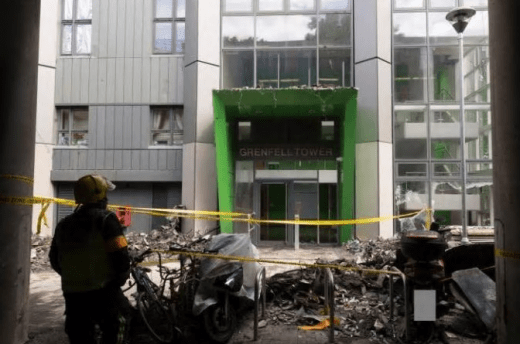 18 Jun – Two women feared dead in the Grenfell Tower tragedy were allegedly threatened with legal action after they campaigned for improved fire safety. Mariem Elgwahry, 27, and Nadia Choucair, 33, may have received letters ordering them to stop their campaign for improved safety. Both women were fighting the Kensington and Chelsea Tenant Management Organisation for building improvements, with help from the Radical Housing Network (RHN), The Mirror reports. 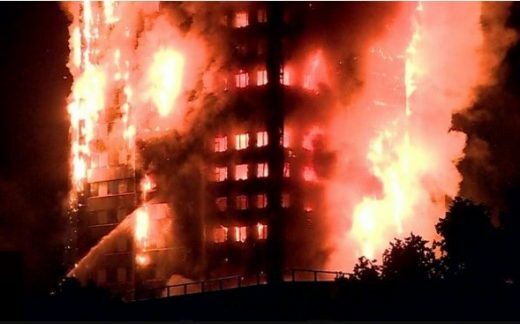 Last night British Prime Minister Theresa May said she had ordered councils to complete urgent safety checks on all high-rise buildings. At least 58 people are presumed dead in the Grenfell Tower disaster Police confirmed. It is an increase of 28 on the number of confirmed victims. The building refurbishment is now part of a criminal investigation. 1. analysing what went wrong with the building, from cladding type, cladding fixing, to smoke-filled single stair, fire lobbies, fire doors and the fire alarm. 2. drawing some tentative conclusions, if we wait months until a massive hard-to-digest inquiry report the media focus will have gone and some opportunities for change with it. 3. some suggestions about what needs to happen with other high-rise buildings around the world, but focused on UK council housing in towers. We certainly don’t have all the answers, therefore welcome expert input from other professionals. cladding type – typical floors have 3 main components: windows, rainscreen and ACM panels. It is the latter that seem to exhibit the most combustion. from outside face inwards: Aluminium sandwich panels appear to have a flammable core, with small air gap allowing chimney effect, and flammable foam insulation behind applied to concrete facade from 1974.
single stair – obviously inherently dangerous, but why did it fill with smoke? fire alarm – reports suggest it didn’t go off, why? note ‘5’ in the elevation key, aluminium rainscreen (white panels) make up about half of the cladding). 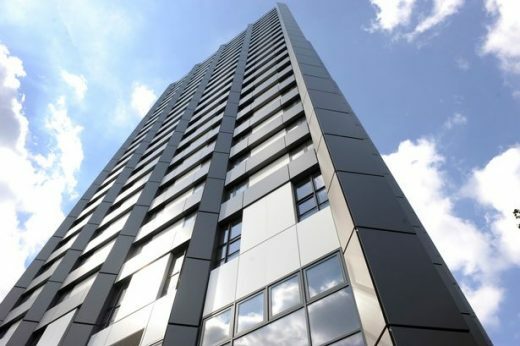 – German construction companies have been banned from using plastic-filled cladding, such as Reynobond PE, on towers more than 22 metres high since the 1980s. – US building codes restrict the use of metal-composite panels without flame-retardant cores on buildings above 15 metres. 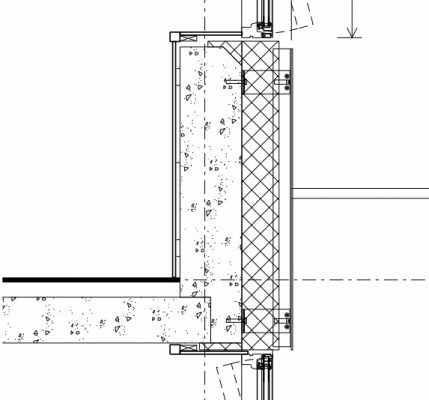 b. air gap, probably criss-crossed by brackets holding outer ACM panels. c. Celotex insulation applied to existing concrete walls, assumed to be 150mm of Celotex FR5000 and / or RS5000, no backing substrate shown on planning portal section. Product datasheet: https://www.celotex.co.uk/products/download/5c73880a-6017-4854-88fe-923fff569a4f notes it is tested with both 12mm fibre cement panes and 2×12.5mm plasterboard. 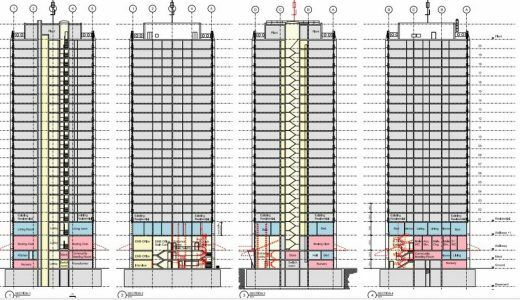 But the section (planning portal) and reports suggest it was installed on the tower without a substrate. If no substrate then the fire test approval appears meaningless. It seems the Celotex material may be non-FR PIR. Nevertheless the product is certified with reference to BS8414-2 via the performance criteria of BR135 (product datasheet). There is some suggestion of a leak from the gas riser, there is not enough information on it to discuss at this stage in our view. Link ref. tests (BS 8414-2, BR 135 see commentary by Sarah Colwell on pp 13-16 of this IFP magazine issue: Fire Performance of external cladding systems. The article linked above suggests there are around 5000 blocks of flats in England representing around 300,000 homes, a lot of people especially if extrapolated to the rest fo the world. 16 Jun – 30 confirmed killed, including one person who has died in hospital. The death toll could rise above 100. More than 70 people have been named by relatives as missing, and also 12 people remain in critical care. Protesters entered Kensington town hall this evening demanding justice. 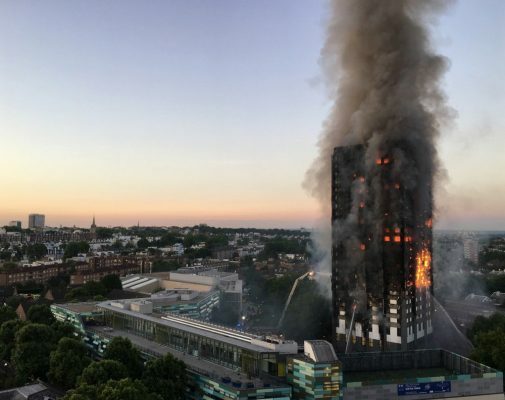 Omnis had been asked to supply Reynobond PE cladding, which is £2 cheaper per square metre than the alternative “fire resistant” Reynobond FR, to the companies that worked on refurbishing Grenfell Tower. Evidence seems to be mounting of problems in so many aspects related to this fire, from building mismanagement, cost-cutting, equipment failure to bad design. These multiple failures are unacceptable and viewed overall suggest a disrespect to the council tenants. 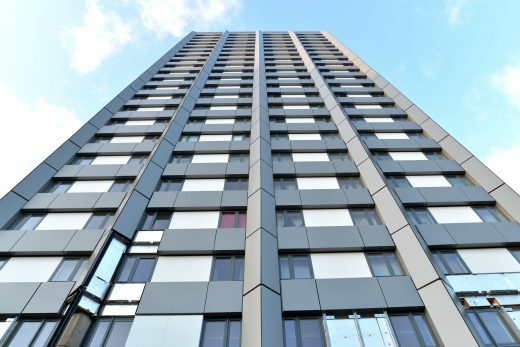 German construction companies have been banned from using plastic-filled cladding, such as Reynobond PE, on towers more than 22 metres high since the 1980s when regulations were brought in to improve fire safety at residential blocks. US building codes also restrict the use of metal-composite panels without flame-retardant cores on buildings above 15 metres. Clearly the UK needs to revise the Building Regulations and commence remedial work on all affected tower blocks. It is imperative lessons are learnt as soon as possible. The construction industry knows about problem cladding and should have done so much more to clean up its act. Combustible core cladding usage should be heavily controlled after all of the lessons, notably from UAE. 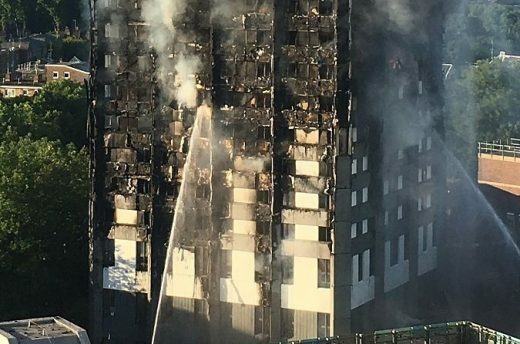 Grenfell Tower used aluminium composite cladding with thermal insulation. There is controversy and lobbying surrounding the use of combustible insulation systems. Also, towers with a single stair should be demolished, there is always a chance the stair will get blocked or smoke-filled. The refurbishment was overseen by Studio E Architects, and undertaken by Rydon Ltd. As part of the project, in 2015–2016, the concrete structure received new windows and new cladding. 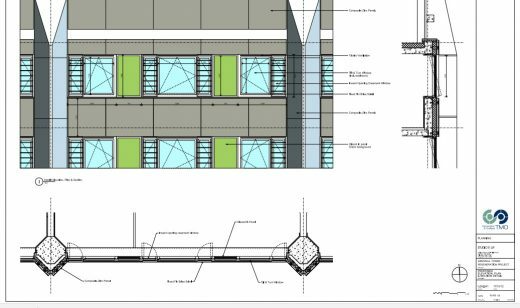 What remains unclear is the system section and detailing: was there a gap behind the cladding, and if so why not fire stopped at every floor? Cavities are closed at each floor per building regulations but is there some weakness or loophole that allowed the ‘chimneys’ to form? The work was carried out by Harley Facades of Crowborough, East Sussex, at a cost of £2.6 million. “The tragic fire that occurred on Grenfell Tower must never be allowed to happen again. The lessons of Camberwell, Shepherd’s Bush and Southampton have not been learned, and it is the responsibility of government to provide solutions. The government must now as a matter of urgency lift the housing revenue account borrowing cap to free councils to undertake the urgent retrofitting work required on all existing housing stock found not to meet required safety standards. “We are deeply shocked and distressed over news of the devastating fire at Grenfell Tower. Our thoughts are with those that have been affected by this tragic incident, together with all of their relatives and friends. It would be inappropriate for us to comment or speculate on events on Wednesday morning. We will be available to assist the relevant authorities as and when we are required. BD magazine notes two Italian architects from the Veneto region are believed to have died in the Grenfell fire: Gloria Trevisan and Marco Gottardi were both working for London architecture practices, they lived together on the 23rd floor. 15 Jun – It emerged the cladding used in Grenfell Tower was behind a rapidly spreading blaze at a tower block in Melbourne in 2014, reports The Guardian. An eighth-floor fire raced up 13 floors to the roof of the 21-storey building in 11 minutes. The spread was “directly associated” with the external cladding, said the fire brigade. The rapid spread of the Lacrosse building fire, which was sparked by a cigarette on an eighth-floor balcony and raced up 13 floors to the roof of the 21-storey building in 11 minutes, was blamed on flammable aluminium composite cladding that lined the exterior concrete walls. 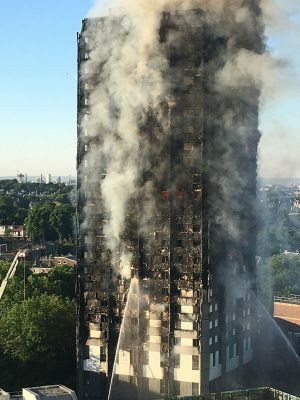 Surely it is time for the construction industry to clean up its act and ban combustible aluminium composite cladding panels. Massive blaze engulfs 24-storey block of flats in North Kensington, west London. More than 200 firefighters tackled a massive blaze at a block of flats in west London, with people trapped in their homes. Reports very sadly confirm 12 people have died, with many more injured. 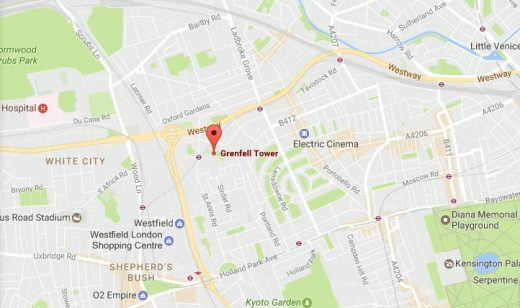 Forty fire engines rushed to Grenfell Tower on the Lancaster West Estate, north Kensington, shortly after 1.15am. Blazing since around 12.45am GMT, reported the BBC. e-architect posted at 5am GMT and our thoughts are with all affected; the page will be updated once any architectural issues come to light. The construction industry will need to learn from this fire, and why it happened. The 2009 Lakanal House tower block fire occurred in 2009 in Camberwell, South London. Six people were killed in this twelve storey tower block. “we have posted numerous warnings in recent years about the very poor fire safety standards at Grenfell Tower and elsewhere in RBKC. A building fire expert advised that floor-to-floor fire spread occurring over full height suggests malpractice has occurred. The London Mayor has declared it a major incident. 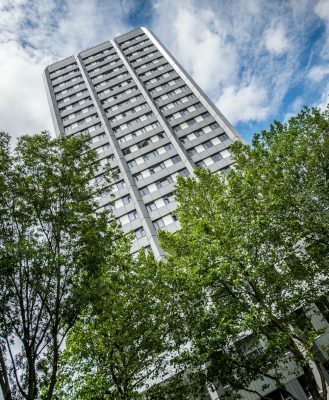 Grenfell Tower comprises 20 storeys of residential flats and four storeys of community/office spaces at podium level. It is roughly square in plan and the residential floors are identical: 4no. 2-bed flats – one on each corner –and 2no. 1-bed flats – one facing east and the other west. The north and south elevations are almost identical, as are the east and west. 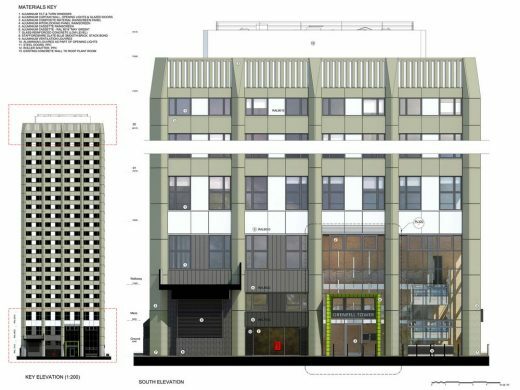 Main contractor Rydon appear to have submitted for a £8.7 million renewal over 66 weeks, focused on an internal reconfiguration of podium levels and external recladding. This work was carried out in 2015-16. Refurbishment was applied for in 2012 of existing Grenfell Tower including new external cladding and fenestration, alterations to plant room, reconfiguration of lower 4 levels to provide 7 new residential units, replacement nursery and boxing club facilities, external public realm works, redevelopment and change of use of existing garages to refuse collection area. The UK has stringent Building Regulations so the extent of the blaze is surprising. Lessons will have to be learnt – a resident suggested the new external cladding might be partly to blame for extent of fire spread – but for now our thoughts are with the people involved. London mayor Sadiq Khan tweeted: “Major incident declared at Grenfell Tower in Kensington” and urged people to follow London Fire Brigade on Twitter.